Windows can be one of your home’s most attractive features. Windows provide views, daylighting, ventilation, and solar heating in the winter. 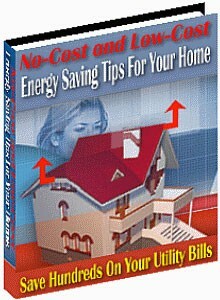 Unfortunately, they can also account for 10% to 25% of your heating bill. During the summer, sunny windows make your air conditioner work two to three times harder. If you live in the Sun Belt, look into new solar control spectrally selective windows, which can cut the cooling load by more than half. If your home has single-pane windows, as almost half of U.S. homes do, consider replacing them. New doublepane windows with high-performance glass (e.g., low-e or spectrally selective) are available on the market. In colder climates, select windows that are gas filled with low emissivity (low-e) coatings on the glass to reduce heat loss. In warmer climates, select windows with spectrally selective coatings to reduce heat gain. If you are building a new home, you can offset some of the cost of installing more efficient windows because doing so allows you to buy smaller, less expensive heating and cooling equipment.